If you feel you have a claim for losses from investments you made with Arizona-based Scottsdale Capital Advisors, Arizona and Utah-based broker/adviser John Joseph Hurry, or Arizona-based Timothy DiBlasi or Darrel Michael Cruz, contact Securities and Investment Fraud attorney, Anthony B. Bingham today at 480.832.1922. In 2015, the Financial Industry Regulatory Authority (FINRA) charged Arizona-based Scottsdale Capital Advisors Corp (CRD #118786), and brokers John Hurry (CRD #2146449, Paradise Valley, AZ), Timothy DiBlasi (CRD #4623652, Surprise, AZ) and Darrel Michael Cruz (CRD #2450344, Scottsdale, AZ) with Illegal Microcap Sales and participating in the sale of securities that were not registered with the Securities and Exchange Commission (SEC). It further charged that Scottsdale Capital, Hurry, DiBlasi and Cruz helped a Cayman Islands broker-dealer generate over $1.7 million in proceeds from illegally liquidating over 74 million shares of Neuro-Hitech Inc., Voip Pal.com, and Orofino Gold Corp. microcap stocks. At the time of the complaint, Timothy B. DiBlasi was employed as Scottsdale Capital’s Chief Compliance Officer. Mr. DiBlasi purportedly failed to establish and maintain adequate supervisory systems, including written supervisory procedures, as related to sales of unregistered shares of microcap stocks. D. Michael Cruz was employed at Scottsdale Capital’s President and Approving Principal and allegedly failed to conduct reasonable inquiries into the illegal sales of three named microcap stocks, even though multiple red flags suggested the sales may have been illegal and the stocks unregistered. At the time of the complaint, John Hurry was the owner of Scottsdale Capital Advisors, a position he still holds in 2018. 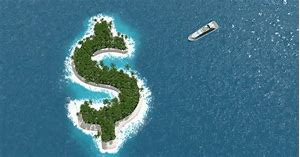 The complaint charged that Hurry established the Cayman Islands brokerage for high-risk foreign microcap stock liquidations, pointing out that Cayman Islands secrecy laws further shielded customer identities from disclosure and exempted Hurry’s securities business from certain regulations. FINRA also charged that Hurry indirectly owned and controlled Utah-based Alpine Securities Corporation, the clearing firm used by Scottsdale Capital Advisors. On March 31, 2017, a FINRA hearing panel issued a decision finding that Mr. Hurry, as the founder of Scottsdale Capital Advisors Corp., violated FINRA Rule 2010 in connection with the firm’s sale of unregistered securities of three issuers that the hearing panel concluded had violated Section 5 of the Securities Act of 1933. The panel found that although Mr. Hurry had no direct involvement in the volatile transactions, he engaged in activities designed to enable those transactions and to evade regulatory scrutiny. The FINRA panel imposed a permanent bar on Mr. Hurry, however the panel’s decision is being appealed to FINRA’s National Adjudicatory Council, and all sanctions have been stayed pending a final decision. Read the entire Disciplinary Proceeding here. If you have invested with Arizona-based Scottsdale Capital Advisors, Utah-based Alpine Securities Corporation, broker/advisor John Hurry, Timothy DiBlasi, D Michael Cruz and believe you or your investment interests have been harmed, call Arizona Securities and Investment Fraud attorney Anthony Bingham at 480.832.1922. You may have a limited window to file your complaint, so we encourage you to contact Bingham Law today. Financial Industry Regulatory Authority, Inc. (FINRA) is an independent, non-governmental regulator who oversees the people and firms that sell stocks, bonds, mutual funds and other securities to the public in the United States. They are authorized by Congress to protect investors. They do this by making sure the securities industry operates fairly and honestly with the public.